A Child's Academy is a dedicated preschool, VPK, and after school care provider. Our staff has extensive experience working with a wide range of age groups & personality types. We are committed to learn, teach & grow with your child. Want to know more about ACA? Request more info about this school, including Rates and Program Info! A Child's Academy is Gainesville Florida's premier provider of caring, professional preschool, child care and daycare services. 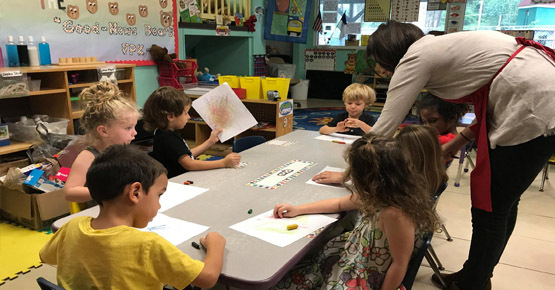 ACA offers extensive preschool programs to select from in order to ensure that we can adeptly fill our parents' needs no matter what they may be. Take a minute to review ACA's presentation video. This will introduce you to some of our dedicated staff and parts of our amazing facility. 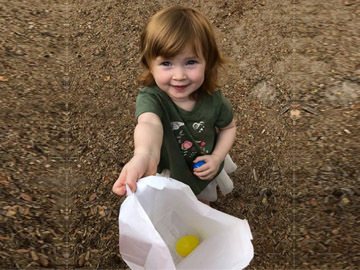 A Child’s Academy provides the best childcare services in Gainesville FL. 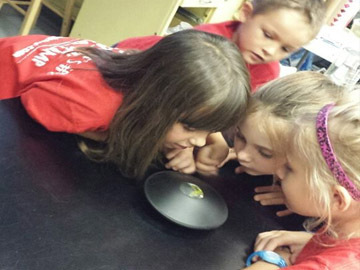 We offer preschool, after school, VPK, summer camp programs, and more! Click the button below to view our online booking schedule and reserve your tour with ACA. 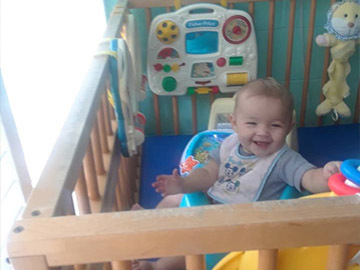 A Child's Academy is Gainesville Florida's top choice for professional preschool, child care, and daycare services. Our staff is passionate about our programs and is continually dedicated to providing the best preschool services in accordance with industry standards. All of our teachers and counselors are certified by the state of Florida in child care courses. 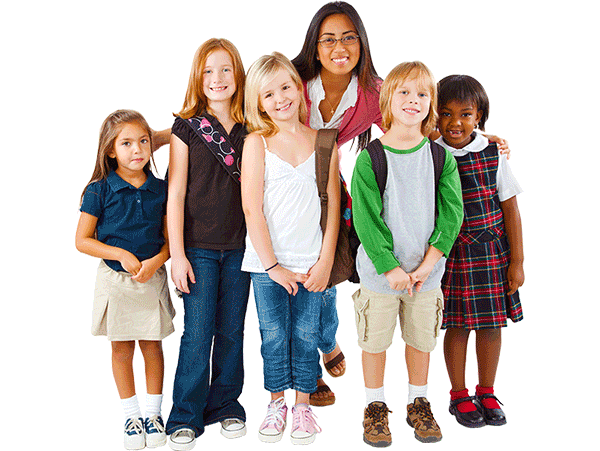 We offer parents with elementary aged children our premium after school care program services. Our voluntary prekindergarten education program boasts a 97% kindergarten readiness rate, the highest of preschools in Alachua County. Camp Bouncers serves as ACA’s Gainesville summer camp, winter break camp, and spring break camp. The team at A Child's Academy is dedicated to teaching and nurturing the children we care for in the best manner possible. Early childhood development is a crucial portion of your child's life. We understand a parents' busy schedule and we're here to help with the best child care services in Gainesville FL. At ACA we take our curriculum seriously – every week our teachers dedicate a portion of their time to plan upcoming projects. We maintain excellence. Our teachers are highly committed to their classes and extensively trained in the best child care practices. Our teachers and team members consist of caring and exceptionally empathetic individuals -treating the families we work with as our own. Read our team's latest articles regarding our company centers and activities. Inform yourself with amazing child care tips and stay up to date with Gainesville Florida's top family news. What I like best about the child care experience at A Child’s Academy is that teachers are dedicated and consistent with the pre-school curriculum. I am confident my daughter, Anna is prepared for Kindergarten. When she is at A Child’s Academy, it feels like Alice is at home at her second address. 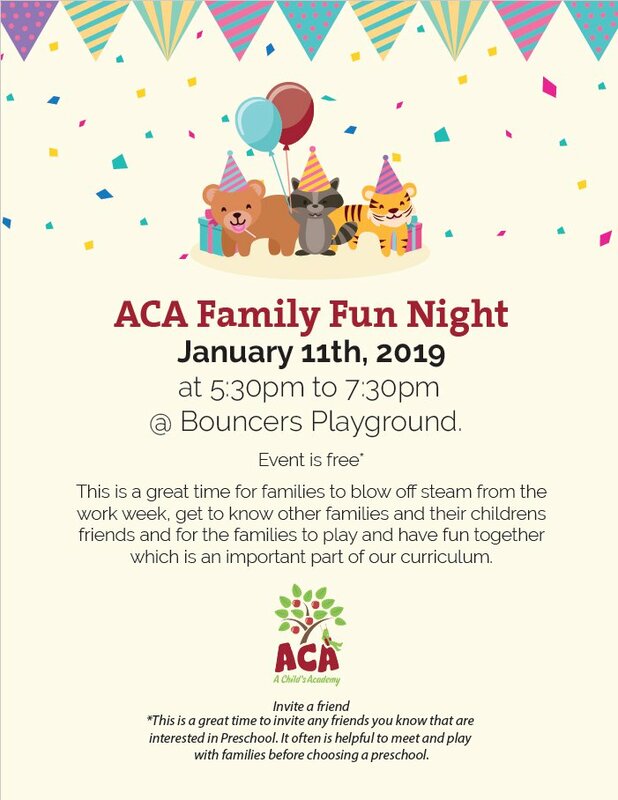 All the teachers at ACA are loving, caring, and comforting our children meticulously which makes ACA a big strong and unique family. What we like best about A Child’s Academy is how the teachers at ACA are so friendly. They know how to take care of kids. I would want new parents to know how safe A Child’s Academy is and how much their children will and enjoy it and learn. All of the staff are friendly and genuinely care about each child. It gives me peace of mind having my child there, knowing that he is being watched by people who truly love children and aren’t just doing it for the paycheck. We use our news letter to inform parents about our latest planned ventures and family activities around the area. Subscribe to our newsletter for promotional offers and to join ACA’s support network. 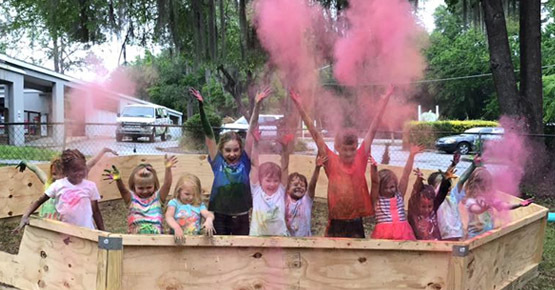 A Child’s Academy is a Gainesville Florida based professional child care service provider. We are a certified and top-rated preschool running several child care programs for the needs of just about every parent. Join the ACA family today.